[dropcap]T[/dropcap]here are plenty of apps that track your running mileage and stats such as pace, distance and time. After a lot of running miles last year and a slow start into the new year I need that little bit of extra motivation. Like a new running buddy that is always available when I am. My New Year’s resolution is to run one new marathon and two more half marathons. So, some professional training advice would be helpful. Oprah once said that “running is the greatest metaphor for life, because you get out what you put into it.” After three years of marathon training, I have to say she got it right. There are some other relevant factors on race day but proper training is so important. By proper training, I don’t mean that you need to run 50 miles a week or run the full distance before race day. However, you should aim to complete regular weekly runs, several runs of 13 miles and at least one run of 20 miles. Starting to do this at least 3 – 4 months before marathon race day is crucial. 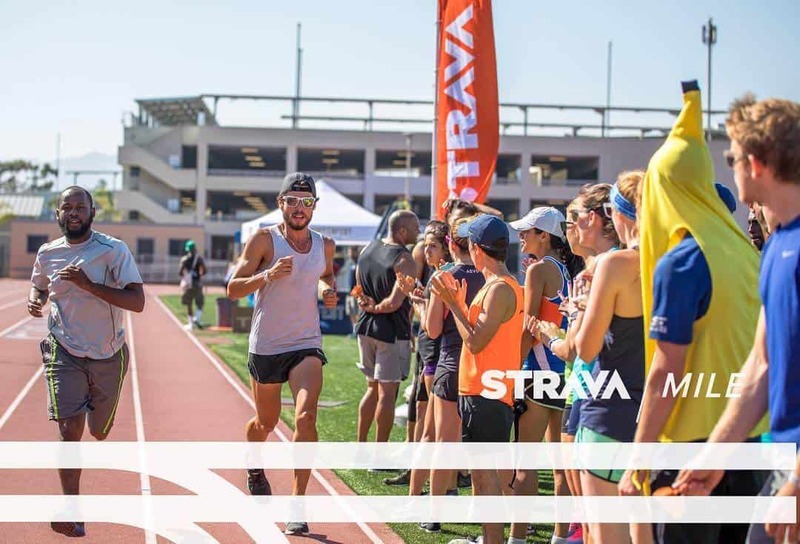 The Runner’s World Marathon Training Guide says that, “the key to successful marathon training is consistently putting in enough weekly mileage to get your body accustomed to running for long periods of time”. They also recommend “that you have a base of a minimum of three to six months’ worth of running four times per week. It’s even better if you’ve been running for a year or more.” So that requires a lot of motivation to get out and run often and for quite a while. I’m a member of a local running club and I have (human) running buddies. But for my solo runs I went on the search for a virtual running coach and that little extra motivation. 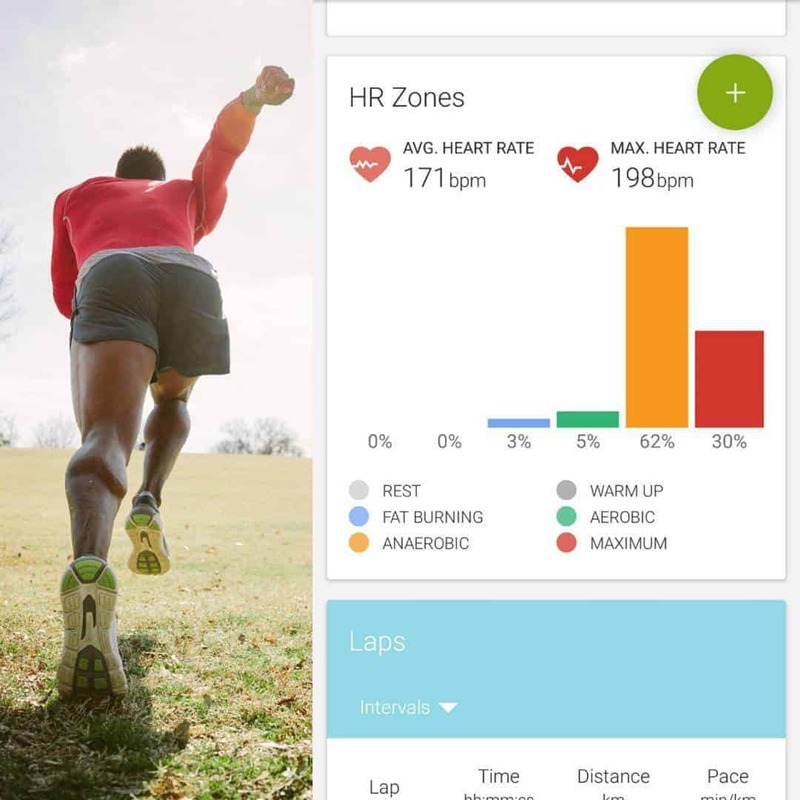 So here are nine great running apps that I looked into. The list includes apps that seasoned runners have tried and tested. Along with other app that are brand new and have the potential to spice up your routine. Aaptiv (formerly Skyfit Sports) is an app that provides audio from a personal trainer. According to their site, the app is focused on “trainer-led, music-driven audio workouts”. The app allows you to select a workout and an inspiring trainer to guide you, along with a great playlist. You have the ability to chose a workout based on the trainer, type of workout, duration and music genre. The workouts start by the coach talking through the warm-up and then guiding me through my run. You can still get in the “zone” but hear from your coach every minute or so. Usually chiming in with reminders like “don’t forget to shake out your arms once in a while”. Check out our Fit-Tech Feature of Aaptiv to learn more! 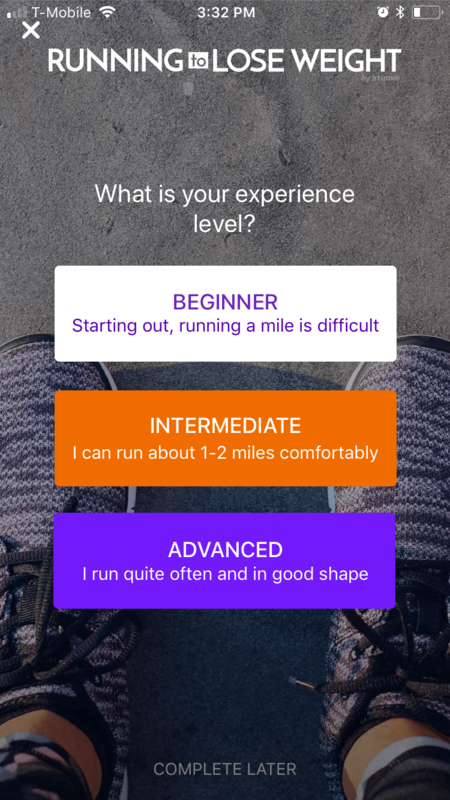 For me, this is a great running coach app and I’m an active subscriber. 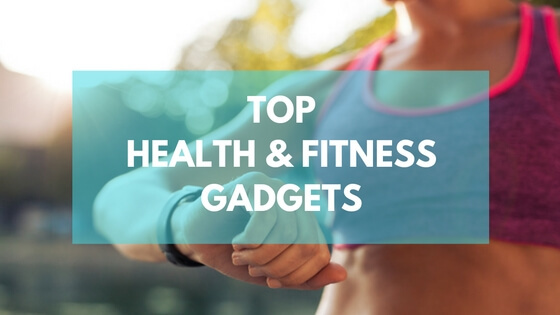 It features cool playlists and a wide variety of “workouts”. What I love most about Aaptiv is that it does not only have running workouts. They also offer yoga, mediation, indoor cycling, rowing and many other workout programs. Plus, I can play it on my Apple Watch.A note though, this is purely an audio coaching app, it does not have any tracking functionality. There is no free version (a trial period though) and the subscription for unlimited on-demand classes is $9.99/ month or $49.99/ year. 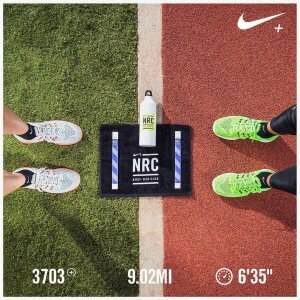 I only discovered Nike+Run Club now and I have to say WOW! It combines a great tracking app, great design and, of course, audio-guided runs. 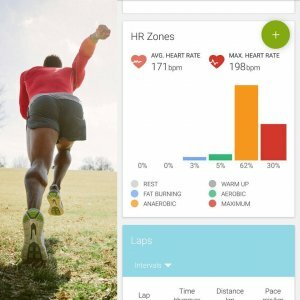 This free app has all the features of a good running app and allows you to see your stats. Display data like pace, distance, elevation, GPS route, heart rate and mile splits. It integrates seamlessly with Apple Music and Spotify. You can create your own training plan and have access to more than 10 audio-guided runs. That include guidance, motivation, and inspiration from Nike coaches and elite athletes. A written description and instructions appear with each workout. Along with playlist suggestions! I read a lot that others like this app for its social aspects. 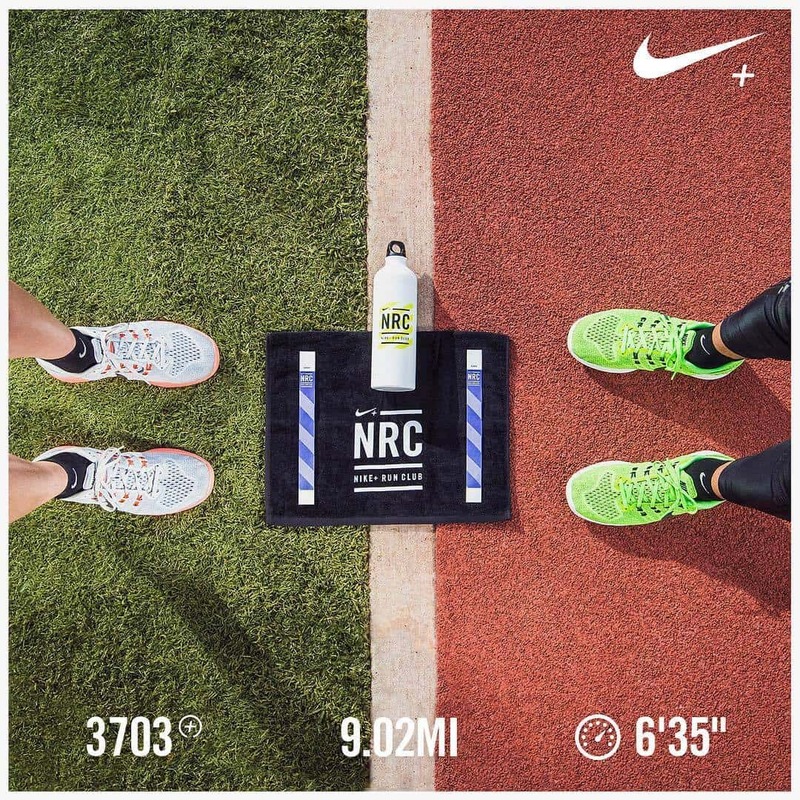 It offers a leaderboard for your friends, a list of events and Nike run clubs. You can log your runs and get badges for your achievements and attaining certain run levels. The app is free and available on Google Play and the App Store and integrates with Apple Health. Runtastic does not only track runs but a variety of other workouts such as cycling and skiing. It provides all the basic stats such as distance, duration, speed, pace and calories burned. But also boasts some great graphs on your pace, elevation gain and heart rate. 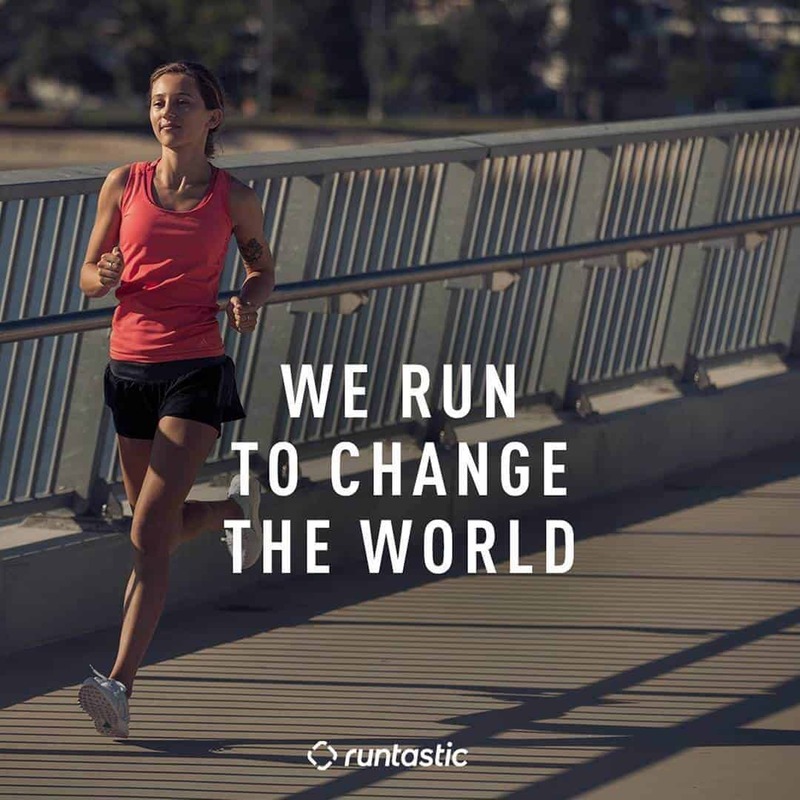 For social aspects, it has a leaderboard and a Runtastic News feed. Helping you to keep up with your fitness-minded friends. Also, you can create a group of friends and engage in a little friendly competition. Runtastic was also Fit-Tech feature with for there Runtastic pull-up app! The basic free version serves as a great running tracking app. Offering cool features like live tracking, goal setting and voice feedback. As for music you can select a playlist from iTunes and Powersong, an integrated music player. Runtastic is available on Google Play, App Store and the Windows Store. It integrates with Apple Health and MyFitnessPal and connects to Garmin Connect. I just learned about Studio. Forbes called the app the “Peloton for Running” and TechCrunch said it “makes running more exciting with coaching, music and competition”. 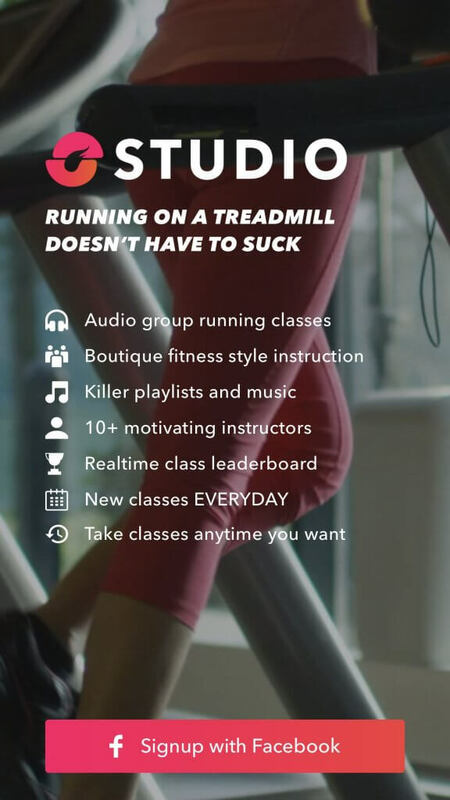 The app provides boutique group running audio classes, though only for treadmill workouts. Pairing motivating instructors with playlists. You are then able to compete in real-time against other Studio runners. Along with the ability to earn “Fitcoins” for the time and distance you run. Get some extra tips of motivation our blog post about early rising! Currently, the app is only available on iPhones and Apple Watches and integrates with Apple Health. It is completely subscription-based at $14.99/month or $99.99/ year. I would try this out but I just can’t justify an app solely for a treadmill. I avoid the “dreadmill” as much as I can and prefer the outdoors. Here is something a little different. A fun and also motivational running app with one million players. It started out as a Kickstarter campaign. Well, it’s more of an immersive running game I’d say. As per the app, you’re “a runner en-route to one of humanity’s last remaining outposts”. Who would have thought your boring solo run would lead to such an important mission. You start your running route and receive a mission via the immersive audio drama. 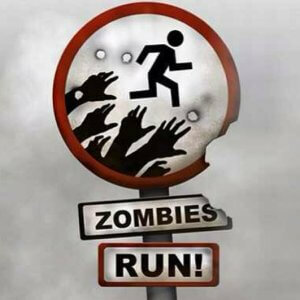 If you’re chased by zombies you have to speed up. No need to worry, you won’t get bored on your next run, there are more than 200 missions! Also, after a story segment, the app can play music from a selected playlist. As every running app, it can record your running distance, time, pace and calories burned through your phone’s GPS. The app is available on Google Play and in the AppStore. The free version gives access to the first four missions and one additional mission per week. A Pro Membership at $2.99/month or $19.99/ year allows for unlimited access to all mission and game modes. Endomondo calls itself “the personal trainer in your pocket” and their goal is “to make fitness fun”. It’s a great running app. It comes with the basic features of miles logged, speed, and calories burned. With the basic, free version, you can set yourself goals and the app will give you real-time audio feedback. Also, you can set friendly competitions with friends and the Endomondo community. 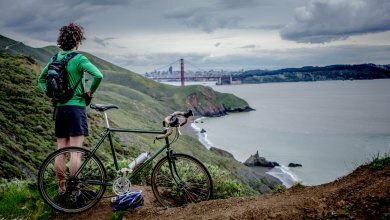 They also offer a variety of other workouts like mountain biking, kayaking, and hiking. 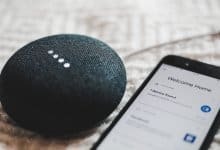 It can be paired with wearables and connects with Apps Health. The app is free but the real value of this app is the personal training plan. Tailored to your goals and this requires a fee for its premium version ($5.99/ month or $29.99/ year). Runkeeper started out in 2008 and with a community of 50 million runners. 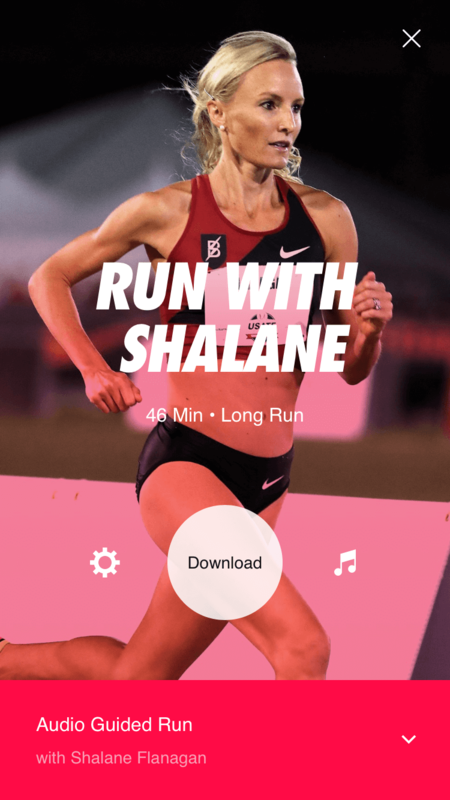 It is simply a great running app with a lot of value-adding features (even in its free version). I like the app because it covers all sorts of running workouts. Including long runs, interval training and some training plans. It’s a very social app. It offers challenges, running groups, friends feed and leaderboard. One feature I like is that on the website I can map out my runs and then follow them on the app. And the accompanying audio cue voices are a fun add-on. Such as a drill instructor voice or a lady with a French accent called Mademoiselle). It has an auto-pause function, stopwatch mode, and pocket track to automatically track any walk of 15 min or longer. Even including a night-mode for evening runs. You can easily integrate your playlists from Spotify or iTunes It is a great running tracking app with fun challenges, social motivations. Plus, the audio cues always make me laugh. I like that I easily manage my privacy and broadcast settings and decide who can see my workouts. 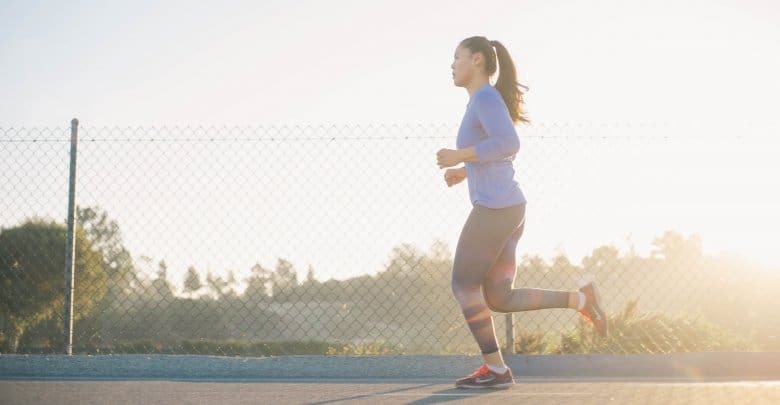 The premium version called Runkeeper Go offers live tracking & cheering for friends and family, advanced fitness reports premium training plans. It is available for $9.99/ month or $39.99/ year in the App Store and on Google Play. As the app’s name indicates this running app was specially designed for weight loss programs. Combining exercising and healthy eating goals, the app is a great weight loss tool. They also offer healthy recipes and meal plans! Looking for some new healthy recipes? 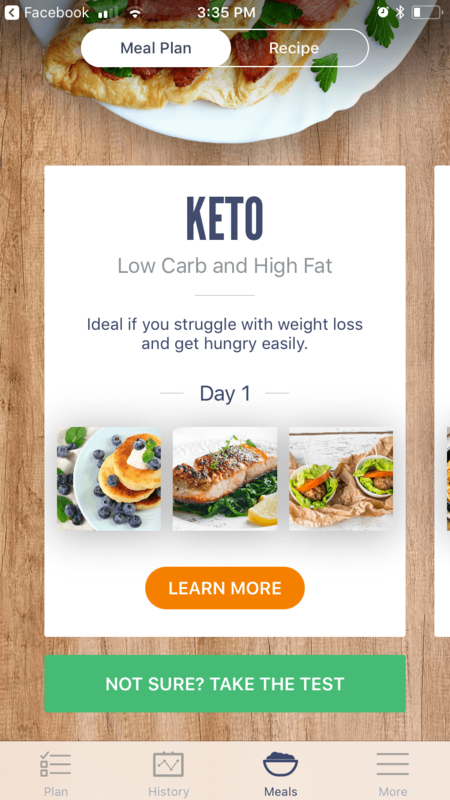 Check our review of Rise: The Nutrition App! The part that I enjoyed was the training plans and the interval training programs. Besides your running and progress stats, it offers over 1,000 workout music mixes. Also, the music tempo adjusts to your workout pace. 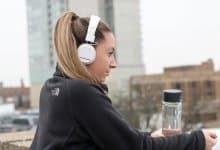 You can choose your audio-personal trainer with different styles. Such as sweet and encouraging or tough and military-style. It integrates with Apple Health, Fitbit, Runkeeper and MayMyRun. It is a freemium app. For a variety of training plans, audio coaches, meal plans, the running playlists and no ads, the premium subscription is $9.99/ month or $39.99/ year. 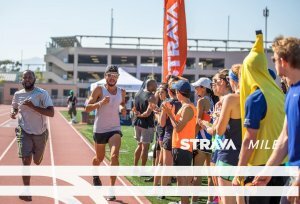 As one of the earlier fitness apps, Strava prides itself as the “world’s best tracking app” […] that turns every iPhone and Android into a sophisticated running and cycling computer”. As most of the running apps, Strava offers activities such as swimming, skiing, and surfing. However, the app is renowned for its running and cycling trail and route network as well as its accuracy. This app has almost become a social network. A user can “follow” each other, give “kudos” and be grouped together. 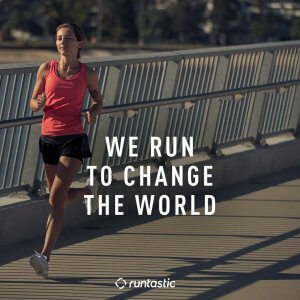 There is one thing to note while being a part of a social network for runners is very cool. I’ve read that it is advisable to take a look at the privacy settings. To make sure you set them so you’re comfortable sharing your running activity. The premium version offers personalized coaching. 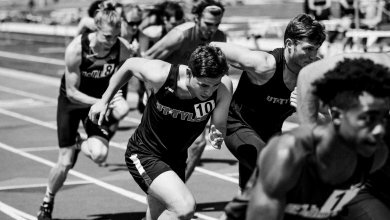 Including goal-setting training plans, live feedback and real-time tracking. 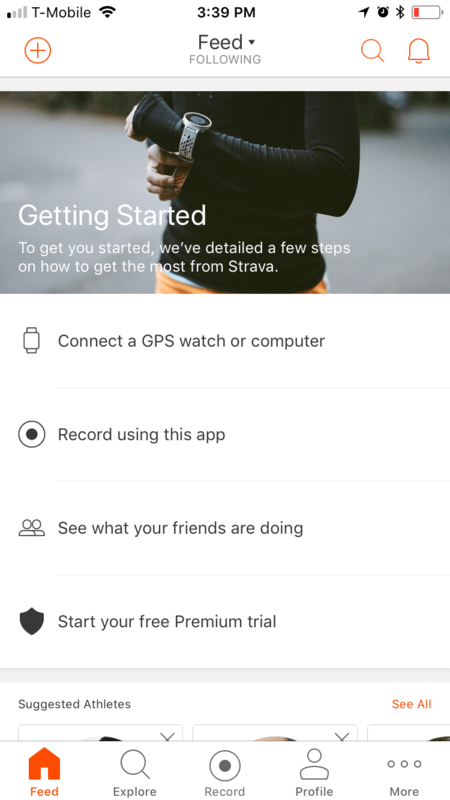 Strava is available on Google Play and in the App Store. It is free to use and Premium version is $7.99/ month or $59.99/ year. Have you tried any of these apps? 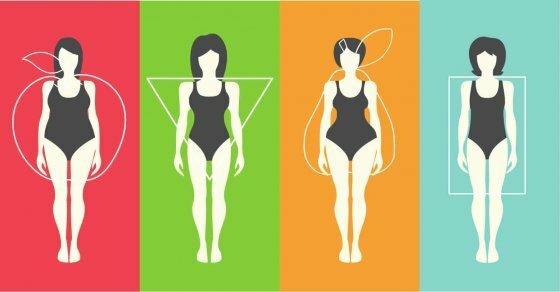 What works best for you? Let me know in the comments. 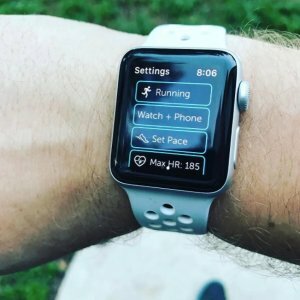 I list and review apps here that I have come across, read about and most of them tested for my search for extra motivation on my weekly runs. I’m not endorsing any apps and it’s just my personal opinion. Hey, I’m Anna. I have been more or less a regular runner for 13 years. About 6 years ago I started to run in races (not competitively though, just to compete with myself and to set myself some goals). Running for me is still the simplest cardio exercise. You can almost run anywhere, you don’t need much – a pair of good running shoes and some water and protein afterward. I have run 3 marathons and plenty of half marathons, 10ks, and 5ks, on the road and on trails. Similar to nearly every amateur runner, I dream of running the NYC and Boston marathons as well as the Berlin marathon one day.